The best-selling text/reader on academic writing, now in a high school hardcover edition. 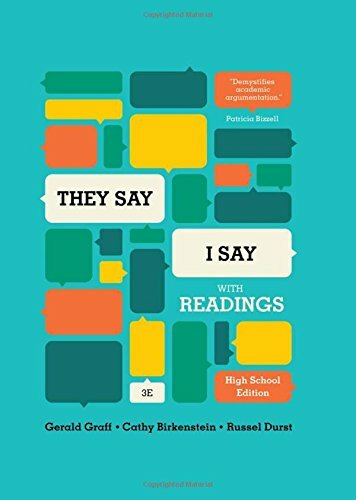 “They Say / I Say” with Readings shows that writing well means mastering some key rhetorical moves, the most important of which is to summarize what others have said (“they say”) in order to set up one’s own argument (“I say”). Templates help students make these moves in their own writing, and 40+ readings demonstrate the moves and prompt students to think―and write.